At Benefex, we’ve been helping our clients deliver financial wellbeing initiatives to their employers for years. We helped build the first employee financial education tool of its kind for Barclays, and we’ve even launched an ecosystem of FinTech aimed at improving employees’ overall financial wellbeing. UK employers see more than two million working days lost each year due to money worries. It’s estimated that 65% of employees demand support from their employers, but only 7% of employers are meeting this need for financial wellness programmes. The surprising thing about financial wellbeing is that it’s an issue for employees before they even start work. Students in the UK are worrying about their finances to such an extent that it is affecting their mental health, according to research revealed last year. Research by NUS Insight on behalf of Future Finance surveyed more than 2,000 students across the UK. More than a third of students say that financial worries have an impact on their mental health, with more female students (38%) dealing with the acute financial worries than male students (33%). Even for your employees who join you straight from school without student debt, the issue is still there. New figures from free debt advice provider PayPlan show that, whilst calls to its helpline from other every age group have decreased over the past five years, calls from 18-25 year olds have more than doubled, with an increase of 117%. The average national debt for 18-25 year olds in 2016 was nearly £10,000 – three times what it was in 2008. How are employers going to encourage young people to invest in a pension when they already have such a large amount of debt to repay, so early into their careers? The answer might be in encouraging them to think ahead. In a survey of several hundred Americans, Morning Star’s behavioural insights team found that while income affected people’s savings rates, other demographics such as their age, education and gender were less important. What was revealing in this study was that people’s savings weren’t determined by their demographics, but by time. Specifically, what the researchers refer to as ‘mental time’. The researchers concluded that “People aren’t thinking about what tomorrow might bring, they’re only thinking about today”. Trying to get employees to think longer term might be the way to help them out of debt now. 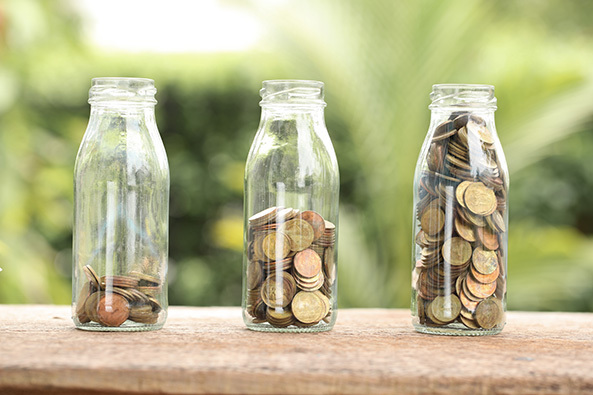 Some pieces of research over the last few years have highlighted that most people who think further into the future tend to save more frequently, and build larger savings pots. This applies whether someone is saving normally or saving for retirement and non-retirement. This information is particularly useful for organisations like Benefex who help employers think about the best approach to encourage good financial wellbeing among their staff. Using technology to help employees to ‘see’ further into the future can affect the choices they make today. One of the biggest misconceptions most people have about money is that more of it will solve the problem, or make us happier. The CIPD reports that nearly seven in ten people believe that earning a higher wage would boost their financial wellbeing. In turn, this attention is turned to loans as a way of exchanging a few problems for one problem. For example, consolidating debt so that employees are just worrying on one creditor, not several. But this doesn’t solve the problem – firstly, more money doesn’t necessarily make employees happier. Typically, we might expect to see a trend that correlated a person’s salary with their happiness. But that isn’t true. There is actually a trend that shows for those earning less than £40k, salary seems to have no effect on their happiness. For those earning over £40k, people are actually more likely to be unhappy compared to the average for their type of work. The second biggest misconception is that financial wellbeing is only useful to those employees who earn less. In fact, high earners can struggle financially as much as low earners. A famous piece of research from Sports Illustrated that found out that 60% of NBA players are broke within five years of retirement due to their inability to save or invest wisely. In part, this is because of the lifestyle associated with high performing sports players and the pressures to ‘keep up with the Joneses’. In the UK, research by the CIPD reveals that financial worries are affecting the work of many employees, even high earners. One in five of those earning £45,000–59,999 and one in seven of those enjoying an income of £60,000 or more all report their work performance suffering from financial worries. Brexit is a new concern for high earners as they seek to protect themselves from any economic struggles over the next few years. The FT reported in March that high earners in the financial sector in particular are divided over whether the City of London will “thrive” or merely “survive” in a post-Brexit environment. Many high net worth individuals are already exploring relocating overseas — which, in turn, is concerning the London-based professionals who currently advise them. For example, we think it’s a mistake to offer payroll lending without ensuring an employee is fully up to speed with understanding financial products and their own finances. In the book ‘Scarcity: Why Having So Little Means So Much’, psychologists paid off the debts of individual flower sellers in India and monitored the results. What they discovered was after a period of time, those people slipped back into debt and back to their old habits. Just like if someone is dieting, a crash diet might give you immediate results, but if we aren’t fundamentally changing an employee’s attitude to food and exercise, they will return to old habits very easily. Lottery winners who spend all of their winnings are another instance of how paying money doesn’t solve the debt problem. The National Endowment for Financial Education says that 70% of all people who suddenly receive large amounts of money will lose it within a few years. Employers should focus on giving employees the right tools to achieve their financial goals themselves and prepare them for managing future situations like inheritance. We’ve thought for a long time that financial wellbeing is an outcome and not one single product, so we’ve focused on helping employees achieve their goals at a time that’s right for them. The former being quite important – the goals they tell us, not those that we assume they have based on their age or earnings. The market for employer sponsored financial wellbeing initiatives is saturated with products that offer tools for saving, face-to-face advice, and financial aggregation. At Benefex, we have been taking a consultative approach to helping employers understand the issues their workforce faces and creating a long-term strategy, tailored to their needs, timescales and budget.